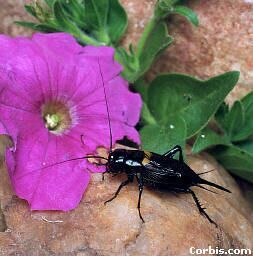 Field Crickets live throughout North America, in undergrowth where there is moderate humidity and protection from wind. They'll eat any plant related material, and dying and dead insects. Their common song is a series of triple chirps.